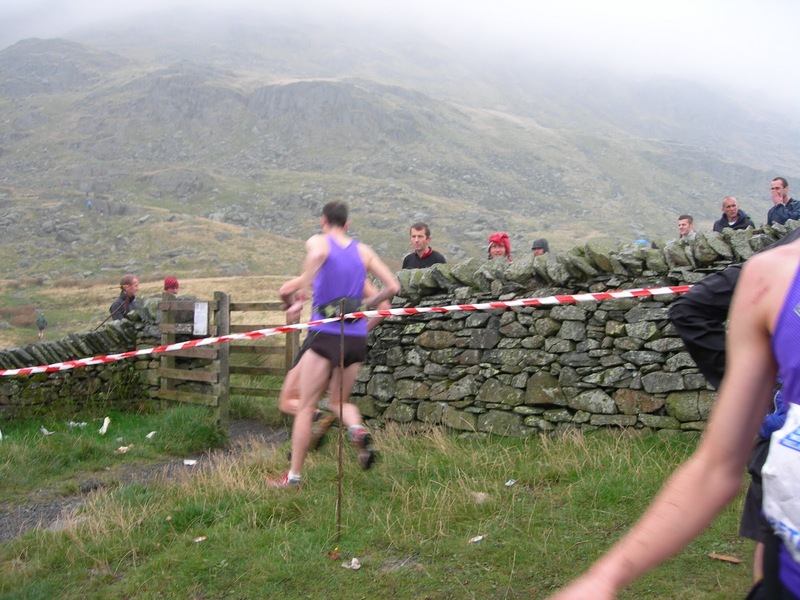 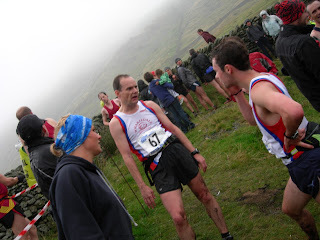 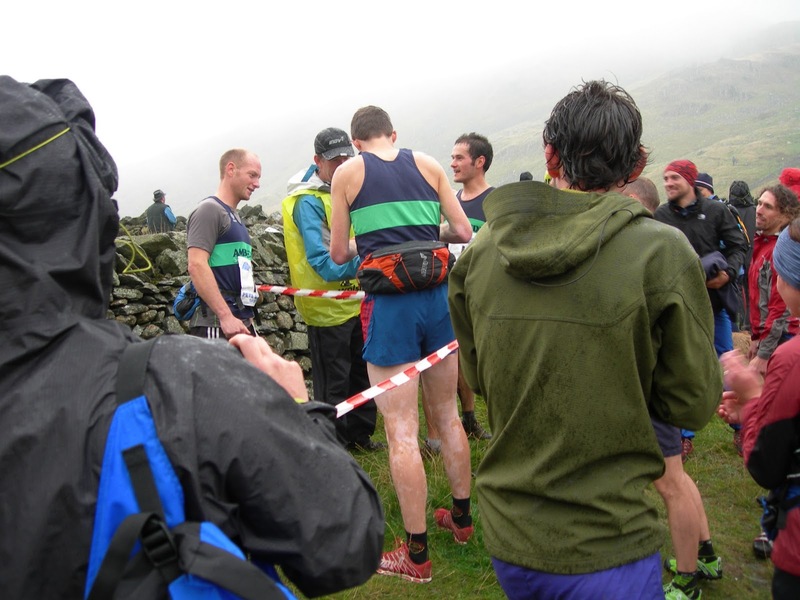 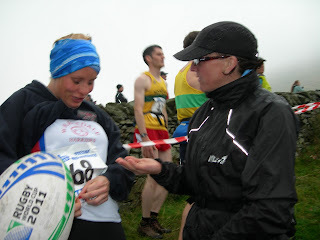 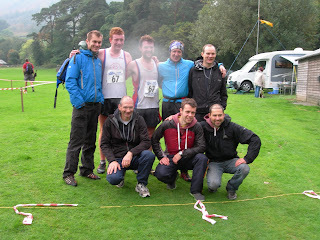 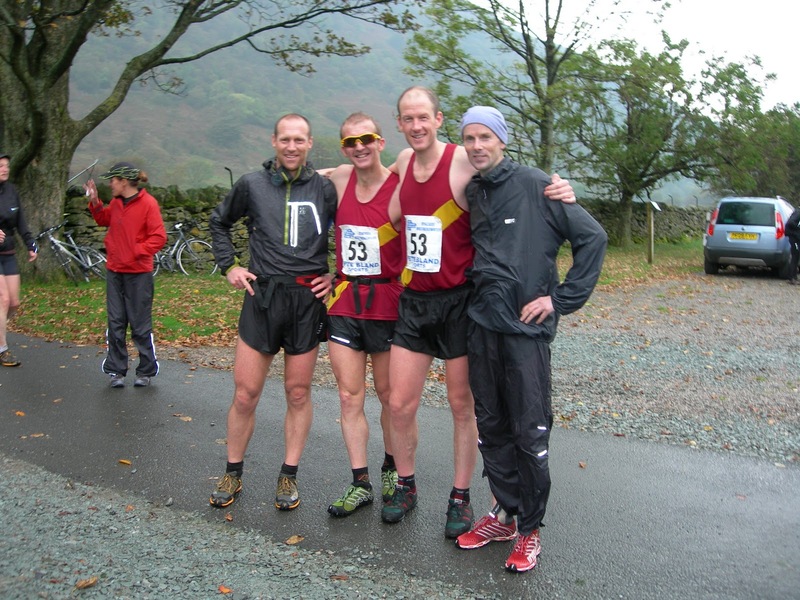 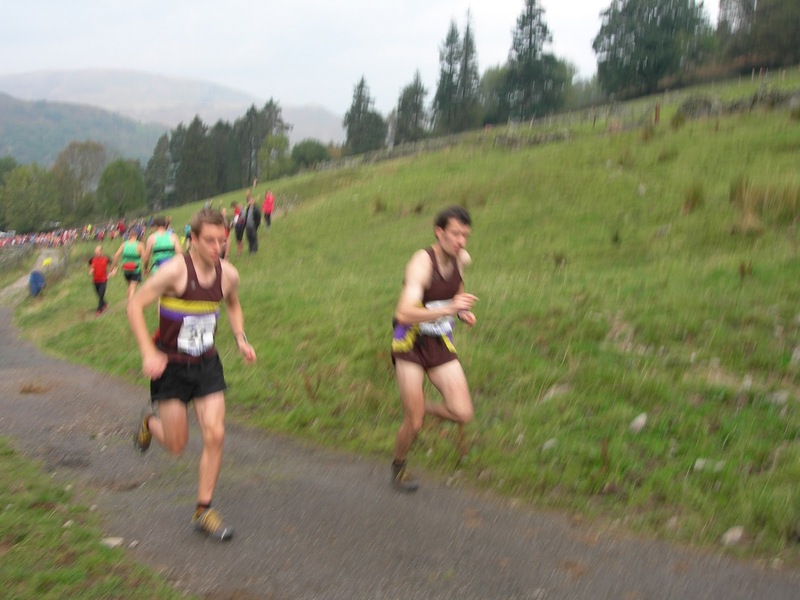 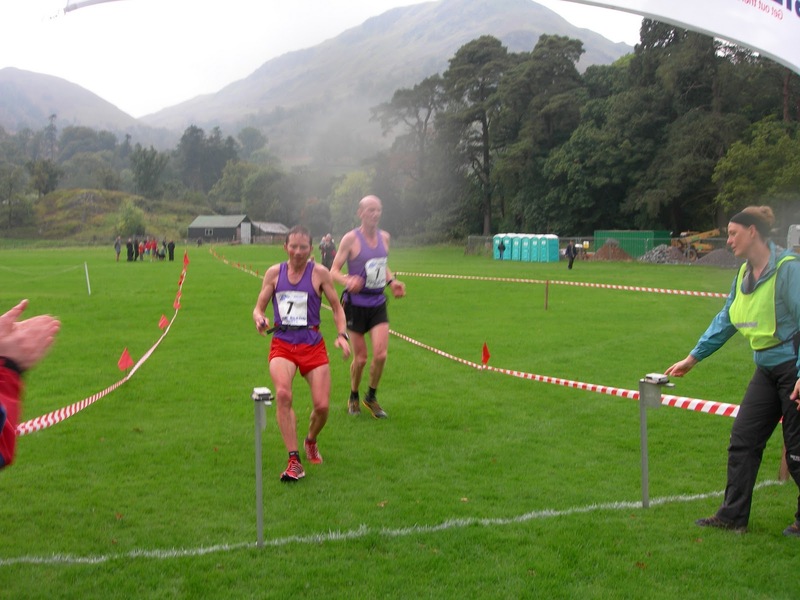 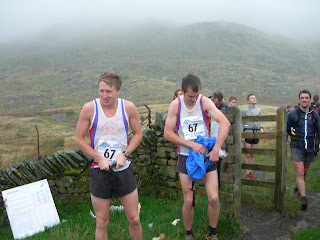 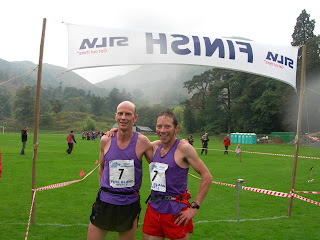 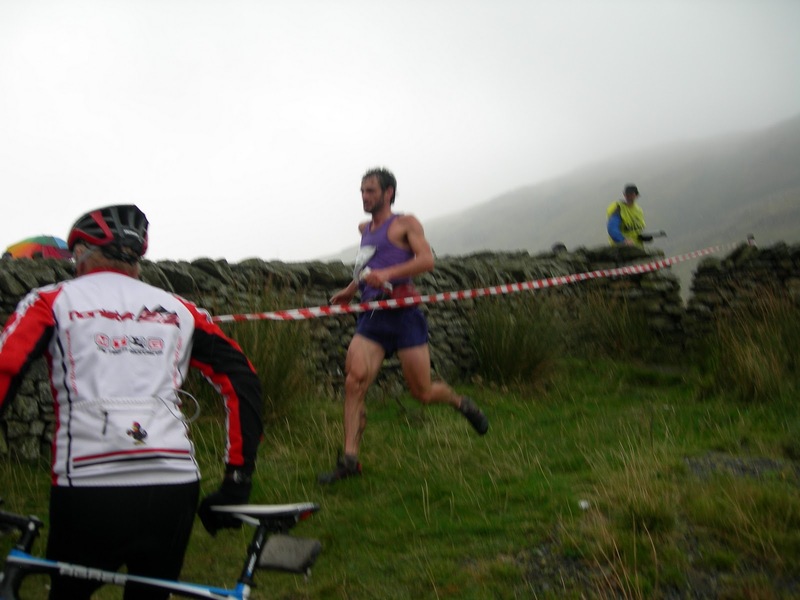 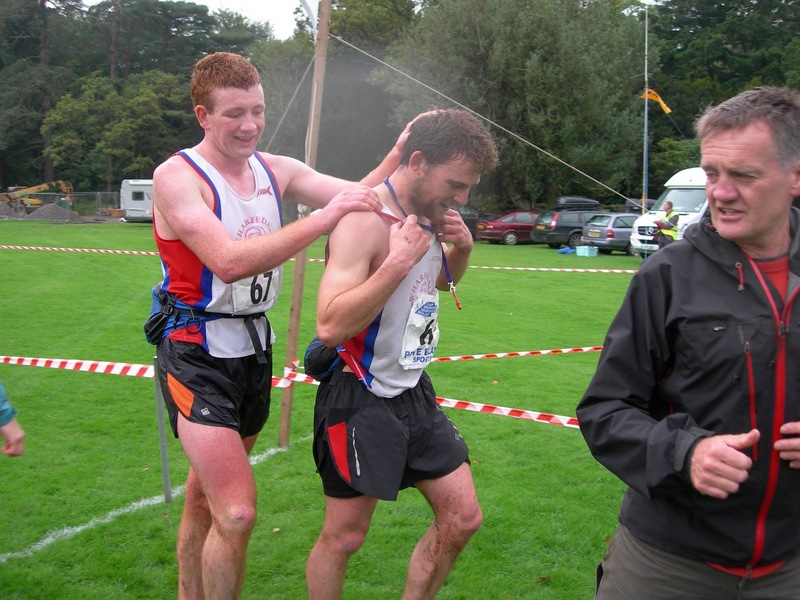 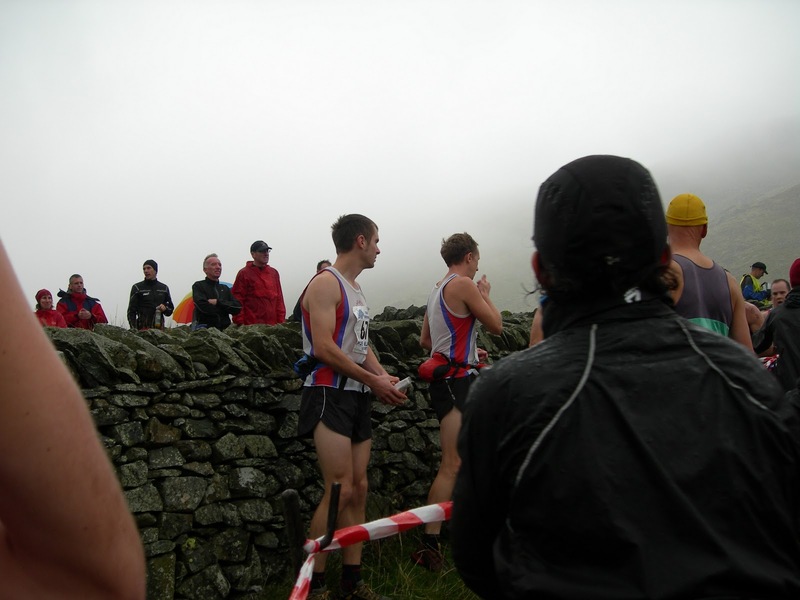 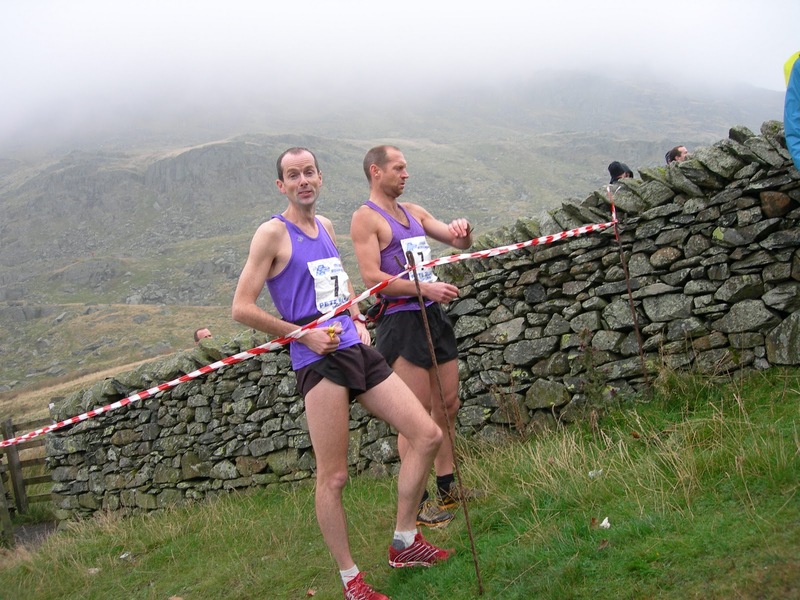 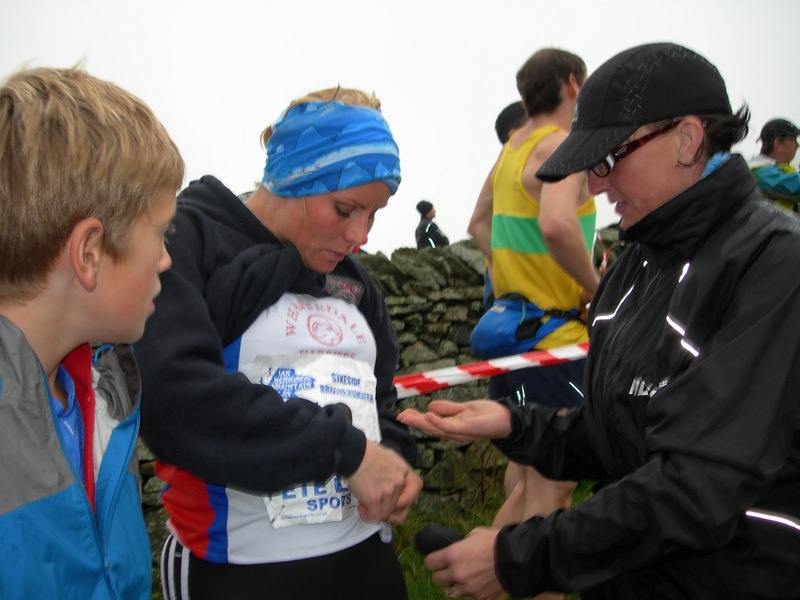 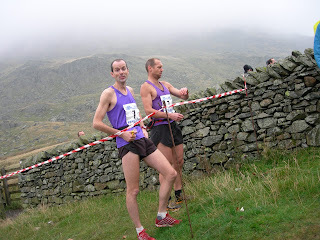 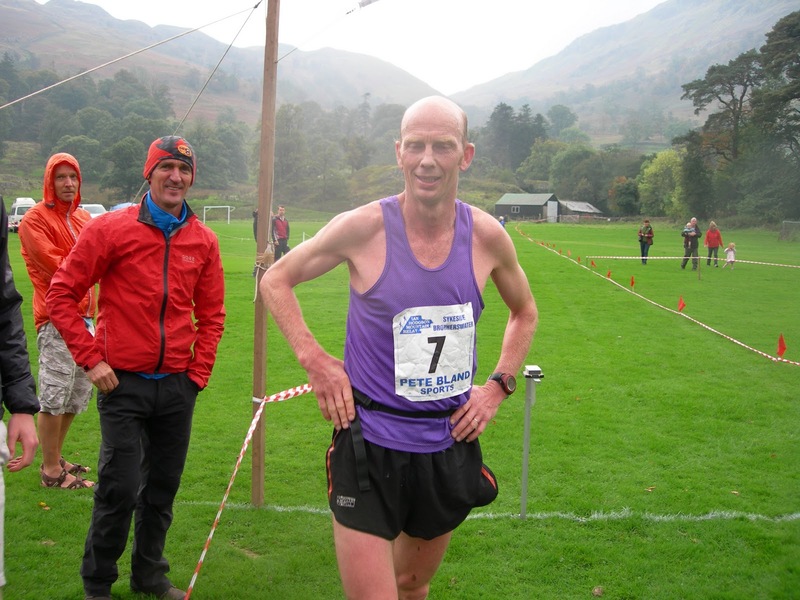 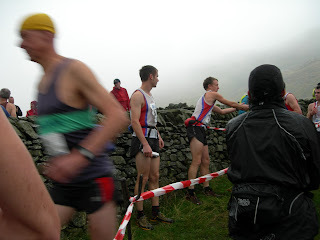 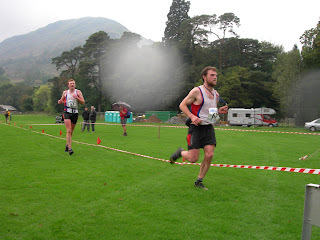 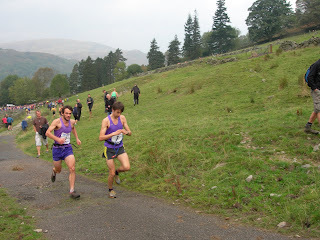 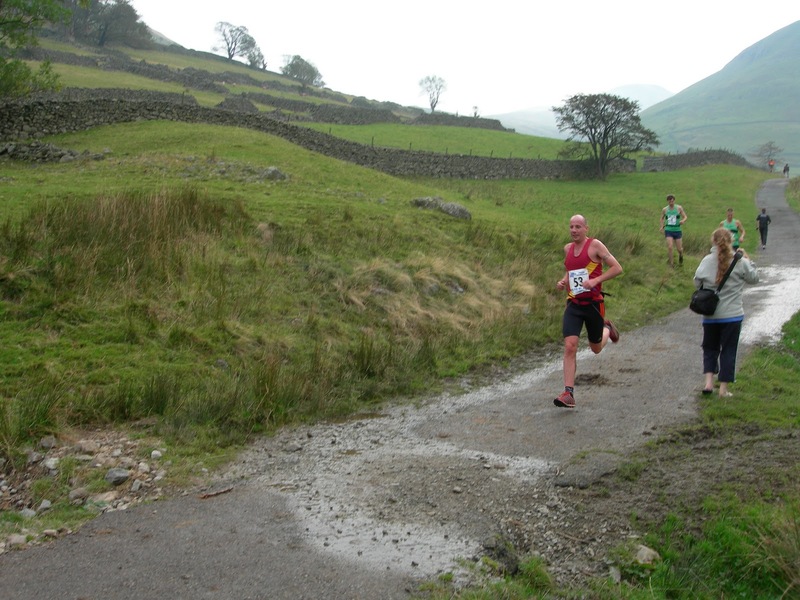 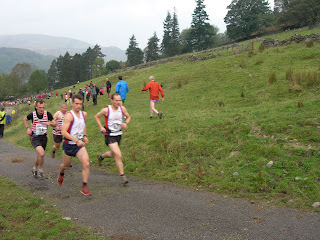 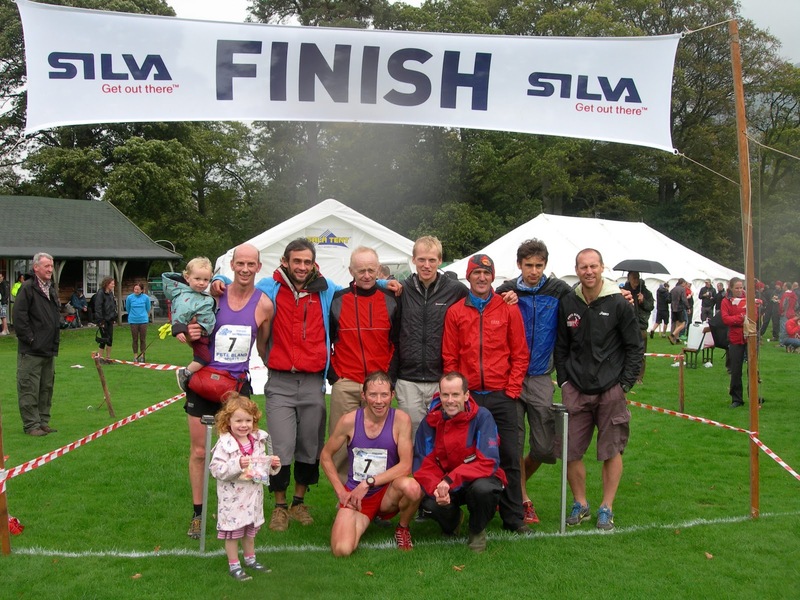 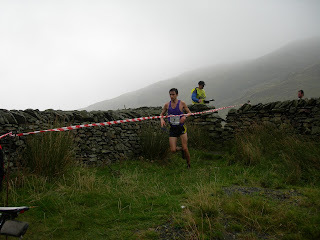 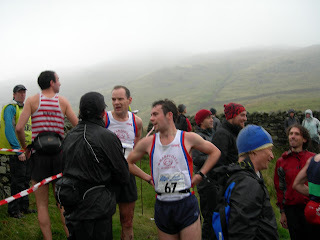 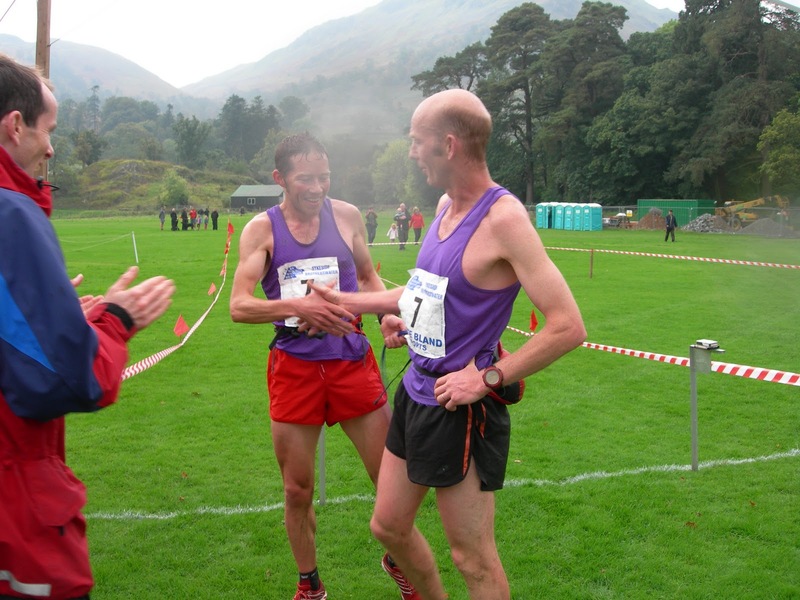 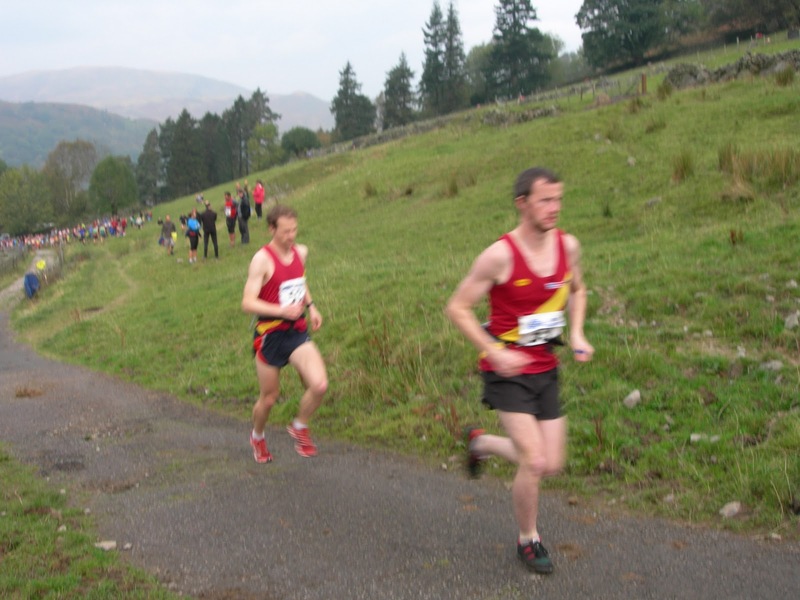 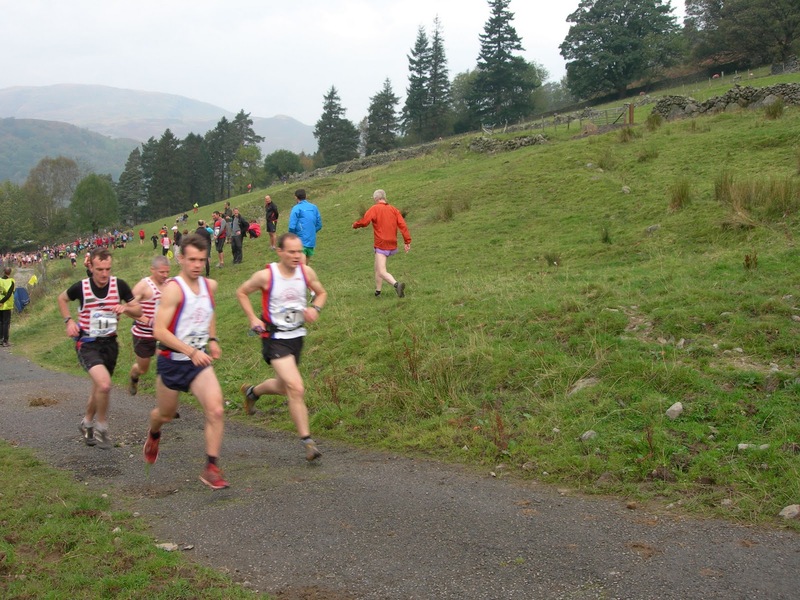 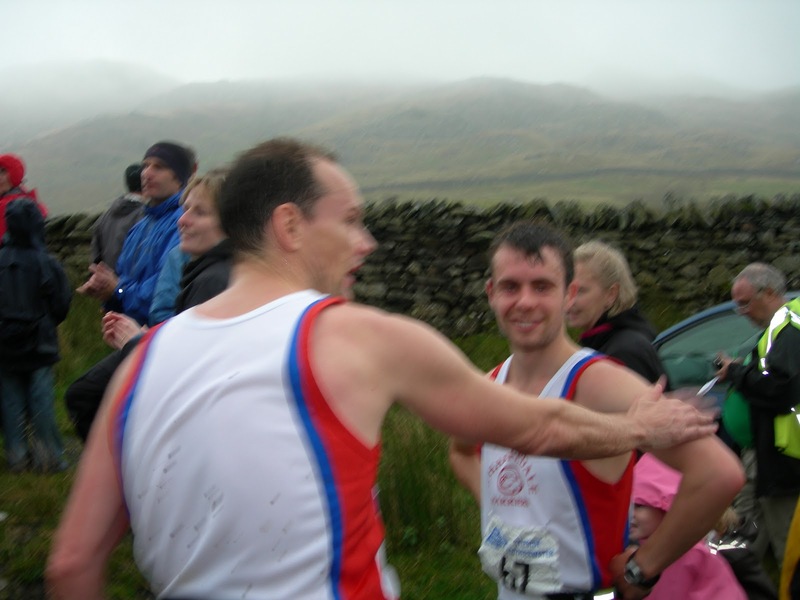 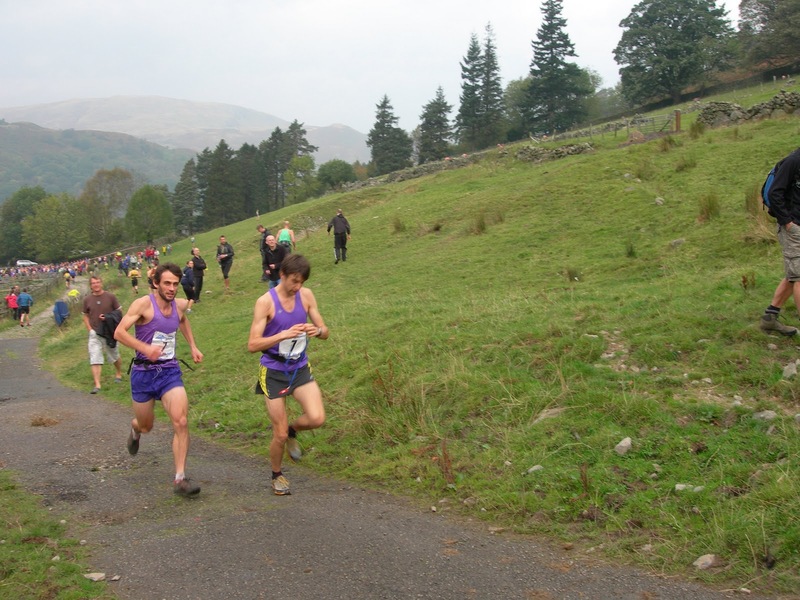 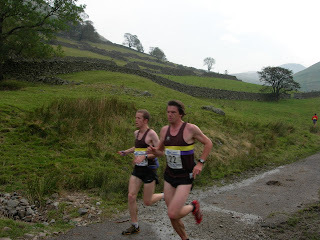 Fell Running Briefs trialled a new photographer on Sunday at the Ian Hodgson Mountain Relay. We think you'll agree he's got great potential and enthusiasm for the sport of fellrunning and a talent for capturing the atmosphere. We'll forgive him for occasionally forgetting to stand still as he took the pictures! 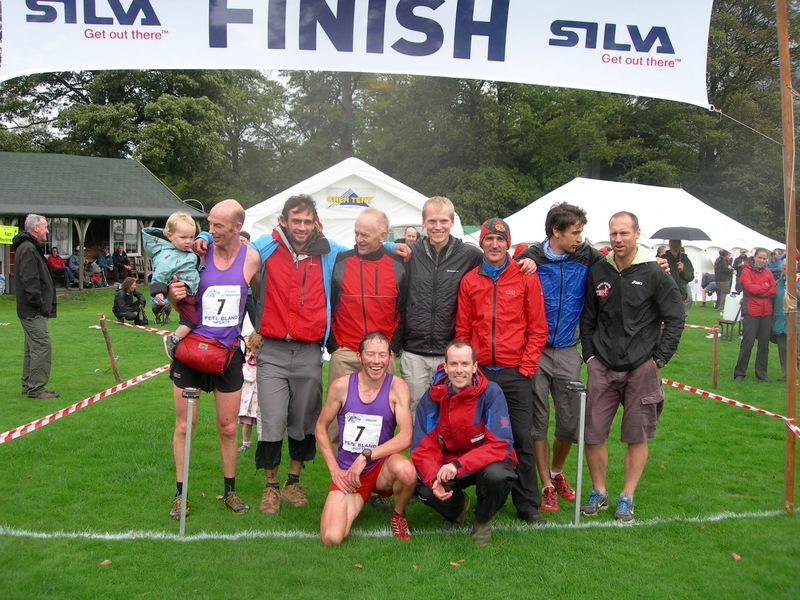 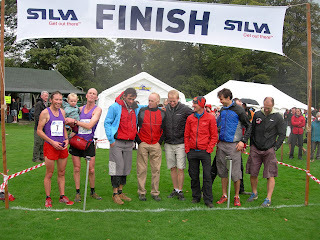 "It was a bit misty up there wasn't it Matt"
Jim Davies (with baby) Ben Bardsley, founder Billy Bland, Chris Steele Leg 1 Mark Roberts Leg 1, Martin Mikkelsen Barron, Simon Booth, Morgan Donnelly and Mike Fanning.